The importance of finding some peace and tranquility in our lives is for most of us, more crucial now in the run-up to the Festive period than at any other time during the year. The magic of Christmas can all too easily seduce our thoughts, routines, shopping habits and our homes, with some of us (allegedly) already experiencing Christmas prep fatigue. At the cottage we welcomed in a new but temporary style last weekend, with the addition of a Christmas tree. The Christmas cards are beginning to trickle in via the post and soon the festive feel will pretty much dominate our lounge. Upstairs, my study has been transformed into a mini-Santa workshop of gifts, wrapping paper and tags, but nonetheless, the festive spirit still prevails in our home despite the loss of precious floor space. Therefore, it is hardly surprising that I am feeling the need to preserve a corner of tranquility in the house, where I can press pause, relax and momentarily opt out. This really isn't a slur against Christmas, or some over-reaction to one of the most magical times of year, it's merely a reminder of how easily we can accrue clutter. Christmas is merely an example of a much broader process where we accumulate new things and clear out some of the old, or as I like to phrase it, 'interiors detox'. To undergo a successful detox of your home, think about selecting a limited 'edit' of your favourite accessories to pepper around - don't worry if this means storing other items away, you can keep switching with those already on display to create a constantly fresh and updated look. Clear space in the home and set aside time in your diary; the sofa is a big deal, it can be one of the largest items in our living rooms and one of the most expensive, so it is imperative to get this right. Achieving the perfect balance between style and comfort isn't always easy but I love how Loaf's Marmalade sofa (above) achieves this in spades. 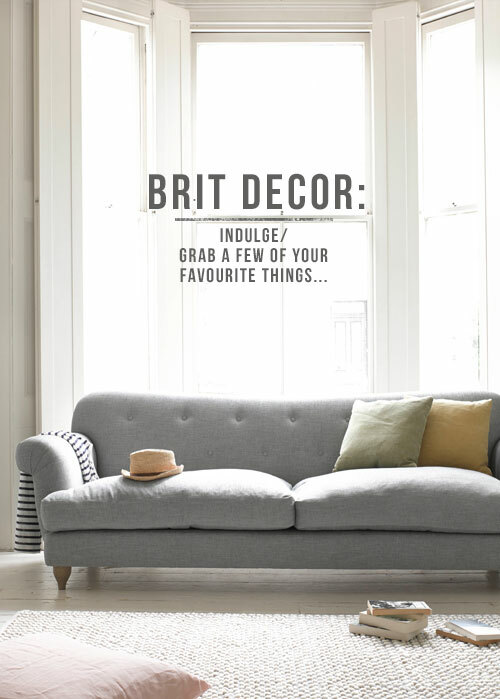 The feather wrapped foam cushions are not only super-comfy, they also require minimal plumping, and this sofa is also available in an incredible 89 gorgeous colours! As with the sofa, one of those simple luxuries in life can be putting your feet up and grabbing some comfy time. 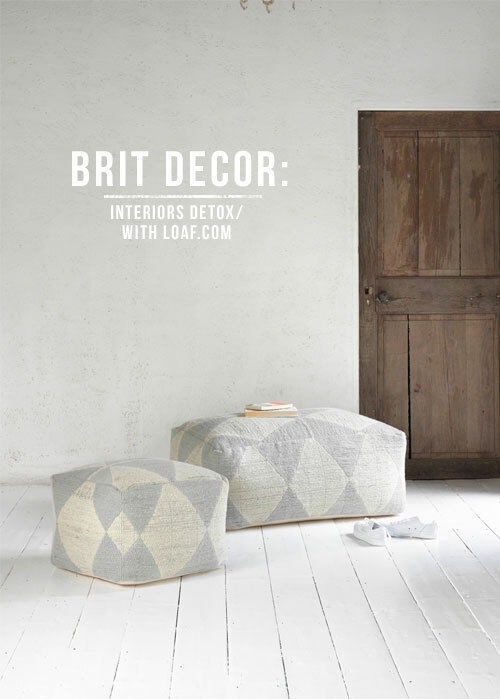 I am really taken with these Harley pouffes, which are bulging with comfort and constructed in a deliciously light and unobtrusive geo patterned fabric. Pouffes and foot-stools are hugely versatile furniture items - they can also be used as impromptu seating for those extra guests, or pop a tea tray on top and you suddenly have a stunning temporary coffee table. The key to successfully tidying away, is of course, storage. 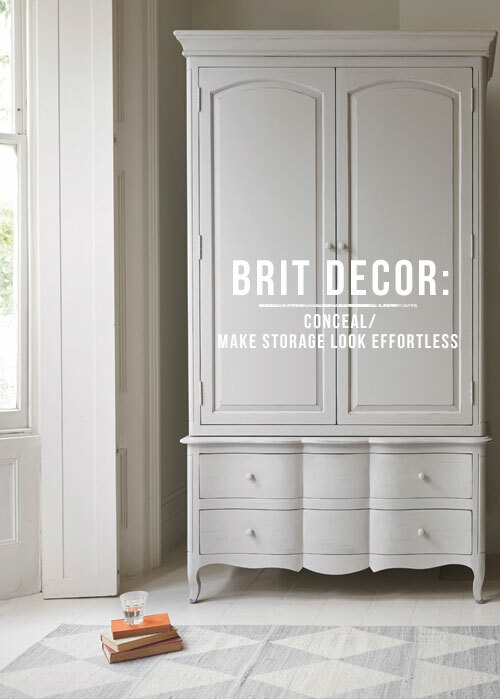 Simple lines and curves bring a touch of elegance and sophistication, whilst pastel colours tend to make larger items of storage furniture, like this Pascale wardrobe (also above) finished in 'Scuffed Grey', which looks totally effortless. Here in the UK during the Winter we are plunged into darkness for what seems like too many hours during these shortened days, and interior lighting suddenly takes on a new importance. 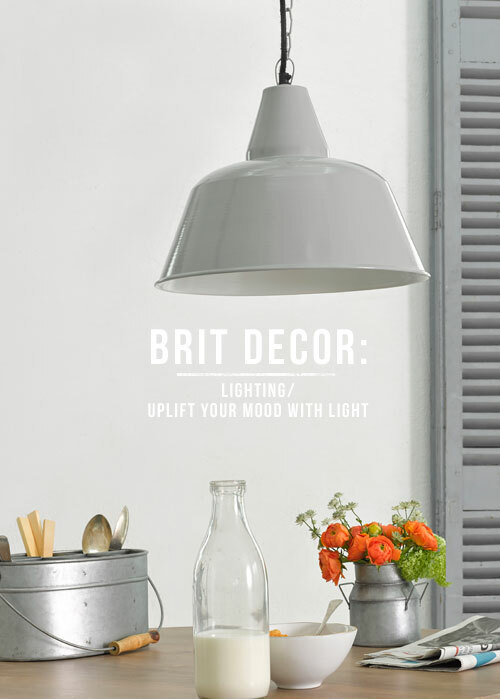 Lift up a room scheme by flooding it with light (cold or warm). 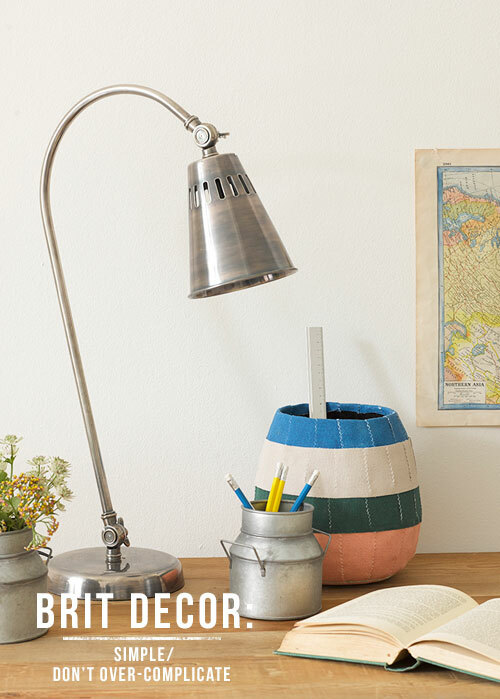 Darker and shadowy room schemes can feel enclosed and cluttered, so I tend to counteract this with a selection of smaller decorative and task lighting, like this Gilbert desk lamp, or feature pendants such as the industrial inspired grey Workshop pendant, both featured 'above'. Sometimes just sitting at my desk seems to clear and focus my mind, making it a surprisingly tranquil place to be, despite the hive of activity that also takes place there. 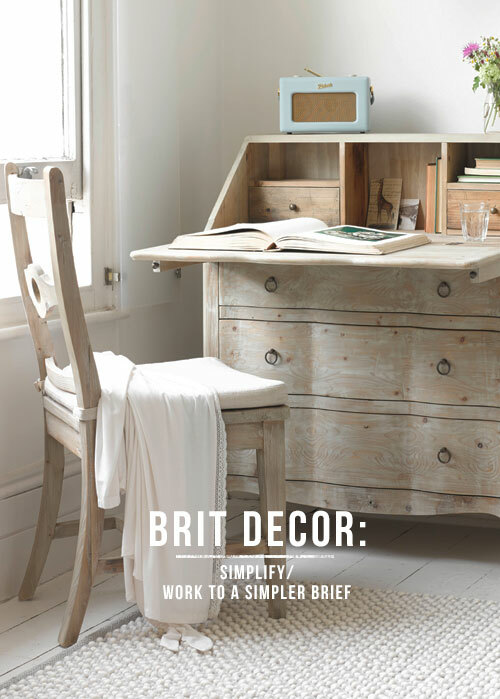 I love the bureau-style design of the handmade Quill desk, with a beached timber finish this has a very natural and simple beauty. There is also plenty of storage to be had here - perfect for aiding that detoxing process and hiding away clutter. I think I may just start my 2015 with a fresh start, but how do you like to detox your home? I'd love to hear your tips! All items shown above are available from Loaf.